In 1994 I passed my exam and I’ve been immediatly interested by the contest. As my licence was not a full class, I was forced to stay on VHF. One of the first I did was the National THF contest. I can’t remember how many QSO I did but it was a nice adventure on 2m. I was operating F5REF from the REF headquarter which is just half kilometers from my parents’s home. Easy ! Later, I met some friends and we all were interested by portable activities and contest. few months later, we moved in the country to imporve the score…. 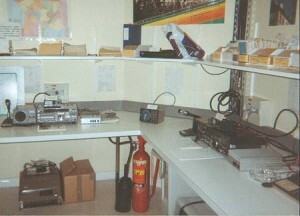 Later in 1997, we did our first HF contest as multioperator. Early in the year, I upgraded to F5CWU after a sucessful Code exam. From the radio-club, we were active almost daily on HF, VHF, UHF & SAT.